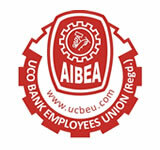 All our units and members are aware that in the Associate Banks viz. SBH, SBM, SBT, SBP and SBBJ, our unions and employees are facing problems of open challenges like attacks on collective bargaining, bilateralism, unilateral imposition of service conditions, adverse changes in service conditions, denial of genuine demands and attempts of de unionisation by allurement of economic benefits to employees over the head of the Union. We have also observed strike on 8th January 2016 on these issues. Despite clear advise from the Chief Labour Commissioner Govt of India, the management is not coming forward to resolve the issues by negotiations and persist with their attacks and offensives. There are also repeated attempts of merger of Associate Banks with SBI while SSBEA has been demanding unification of the 5 Associate Banks into one single entity to enable the independent growth of the Bank to its full potential. We have also observed strike on 8th January, 2016 on these issues. Despite clear advise from the Chief Labour Commissioner, Govt. of India, the management is not coming forward to resolve the issues by negotiations and persist with their attacks and offensives. There are also repeated attempts of merger of Associate Banks with SBI while SSBEA has been demanding unification of the 5 Associate Banks into one single entity to enable the independent growth of the Bank to its full potential. In this background, the Executive Committee meeting of State Sector Bank Employees Association was held at Chennai on 13th instant and various decisions have been taken to continue the agitation with further strike actions by the employees of the Associate Banks. The Circular issued by SSBEA is reproduced herein for the information of all our units. All our State Federations and units are requested to extend full support to their agitational programme and mobilise all our members in their programmes.